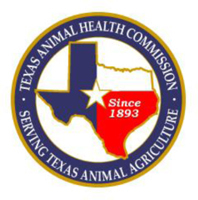 (Austin, Texas - Thursday, May 26, 2016) - The Texas Animal Health Commission (TAHC) is pleased to announce Dr. Andy Schwartz has been named Texas' state veterinarian and TAHC's executive director. The 13 governor-appointed TAHC commissioners, representing the public, livestock and poultry industries, announced the selection of Dr. Schwartz at the TAHC commission meeting on Tuesday, May 24. "I am confident that Dr. Schwartz will provide excellent leadership as state veterinarian and TAHC executive director," said TAHC Chairman Coleman Locke. "Dr. Schwartz has served the agency since 1990, has a proven work ethic, and is highly respected by those in animal agriculture industries throughout Texas and the United States. We look forward to working with Dr. Schwartz in this capacity." Dr. Schwartz grew up on a diverse family farm in Priddy, Texas, where he got his start in animal agriculture. He received an undergraduate degree in Animal Agriculture from Tarleton State University before attending Texas A&M School of Veterinary Medicine where he received a Doctor of Veterinary Medicine degree. He began his professional career in a mixed animal practice that included beef and dairy cattle, horses, swine, and sheep. This experience proved quite valuable as he began his career at TAHC, working his way up. He started as a field veterinarian, was promoted to Region Director, then to State Epidemiologist/Assistant Executive Director, and his most recent promotion to the agency's top job - Executive Director/State Veterinarian. "Dr. Schwartz is nationally recognized among regulatory veterinarians and policy makers, and has worked closely with state health officials in the U.S. and other countries on diseases affecting livestock and poultry. He is frequently sought after as speaker for livestock industry meetings," said TAHC Chairman Locke. "He can quickly 'digest' a problem and seek solutions with working groups, an attribute that we have come to greatly appreciate in a TAHC leadership position." Currently residing in Austin, Dr. Schwartz and his wife, Kathy, have four children and two grandchildren.